You know I'm a sucker for all things black + white, as evidenced here, here & here. Plus, with this crazy New England weather, layers really are key. This look pretty much sums up my winter style: cute, skinny pants (love me some window pane print: here & here), a chunky sweater layered over a long blouse (seen here & here)... substitute snow boots for the pumps until I'm inside at least. This week temps are supposed to reach the 50's, though I'm hearing potential snow for this weekend... oh well. Have a great week! 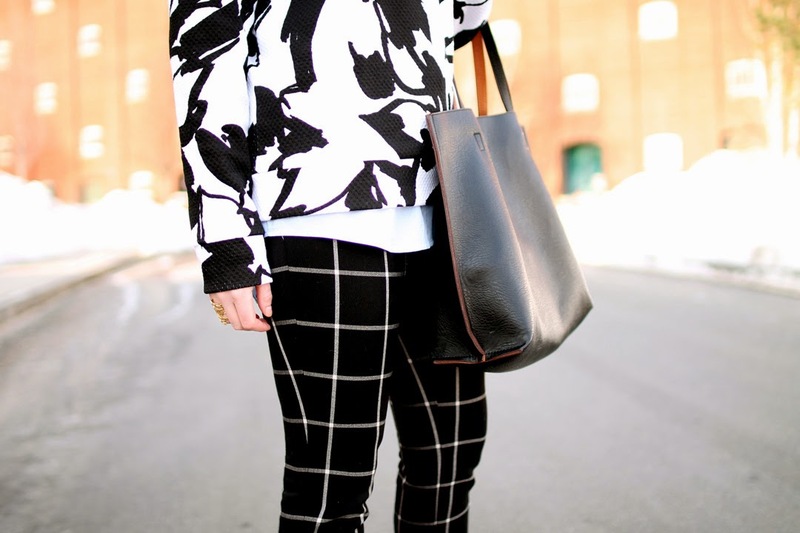 3 comments on "Pane & Print"
Love the print mix! Lovely! Man, I am a sucker for black and white too. Make it a grid print and I am sold. Your look totally caught my eye from the link up.